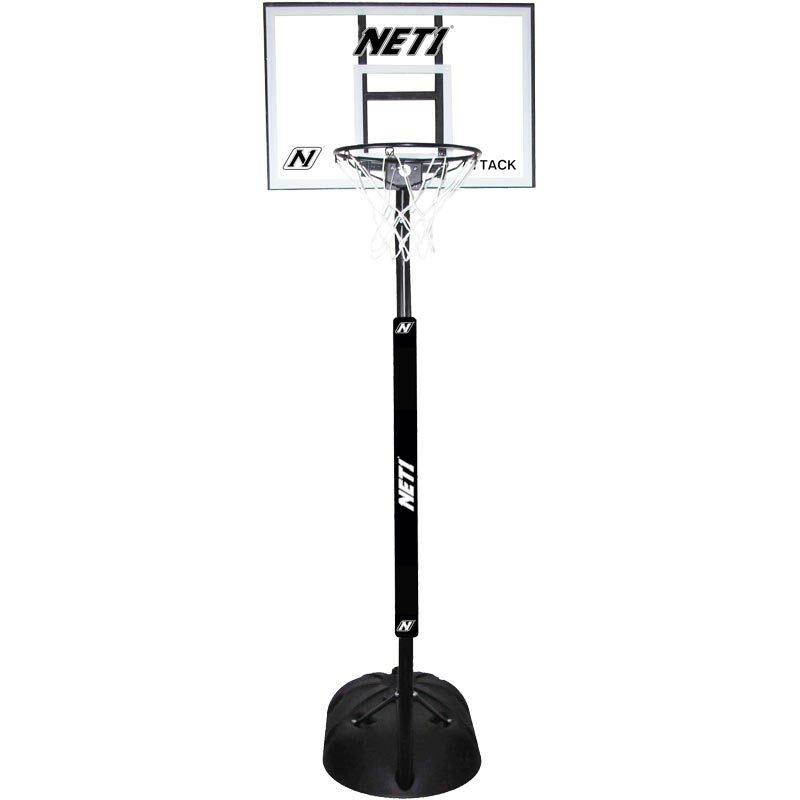 The Net1 ® Attack Youth Portable Basketball Set is ideal for the garden. 76 x 51cm Pro-look polycarbonate backboard with 'H' frame support. All weather 9 loop net. 5cm diameter powder coated round 2 piece pole. 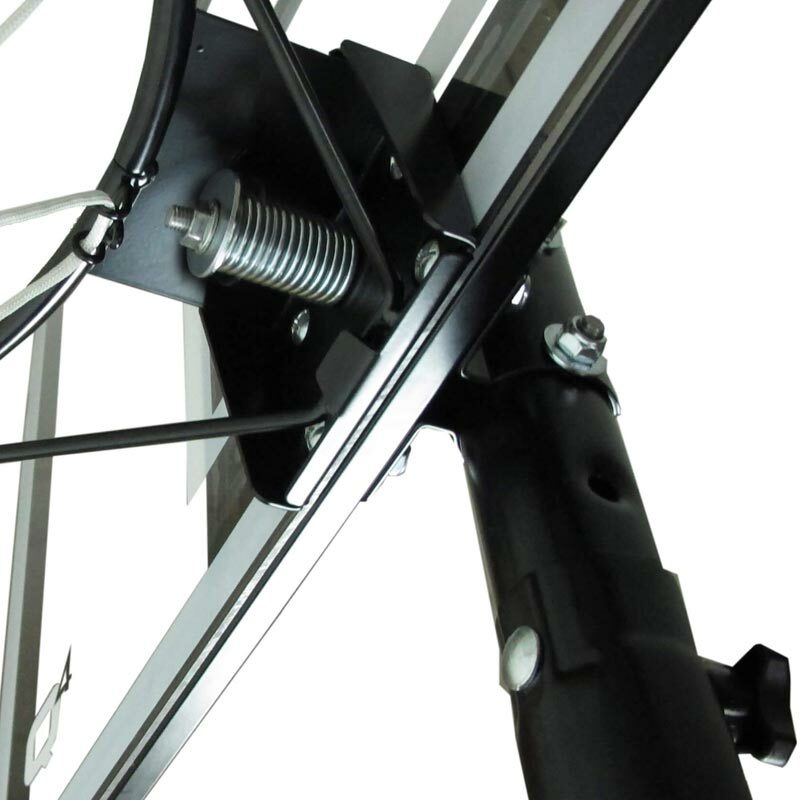 Telescopic pole height adjustment without the use of tools. 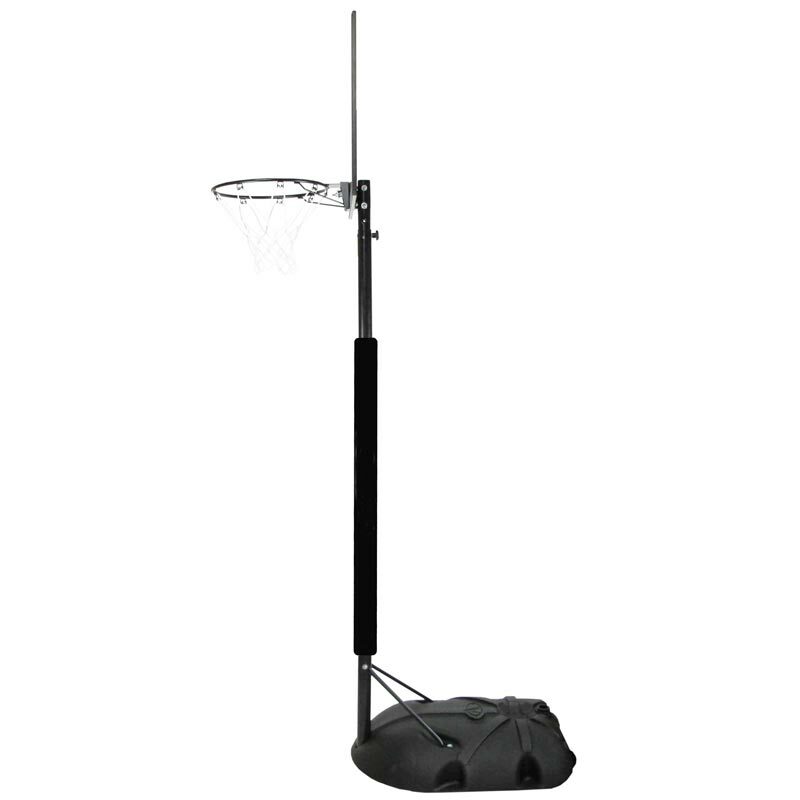 Adjusts goal height in seconds from 2.0m up to 2.6m (6'5" to 8'5"). 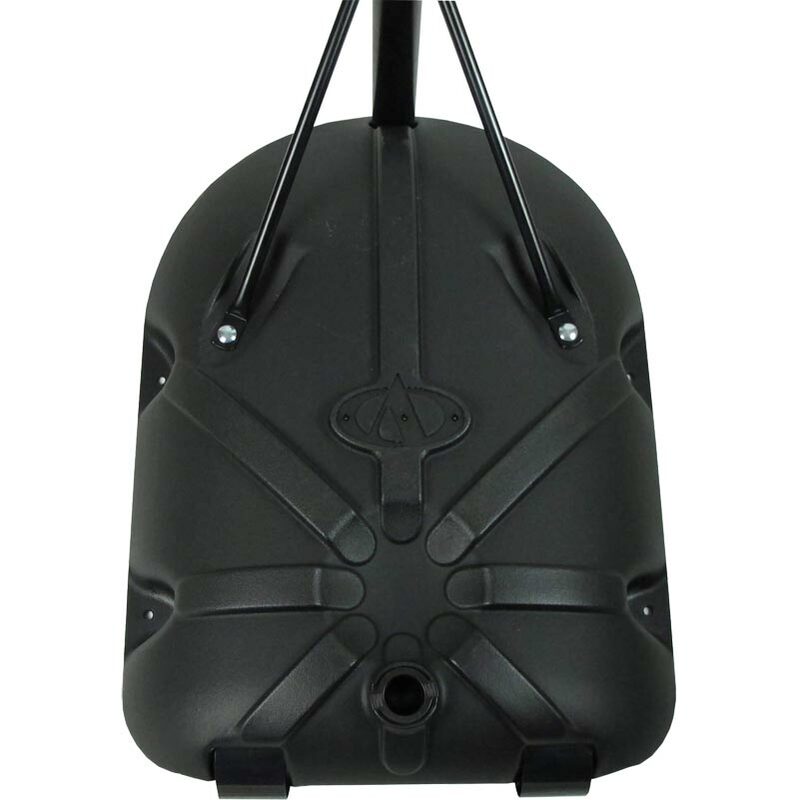 38 litre blow moulded portable base. Fills with either sand or water. 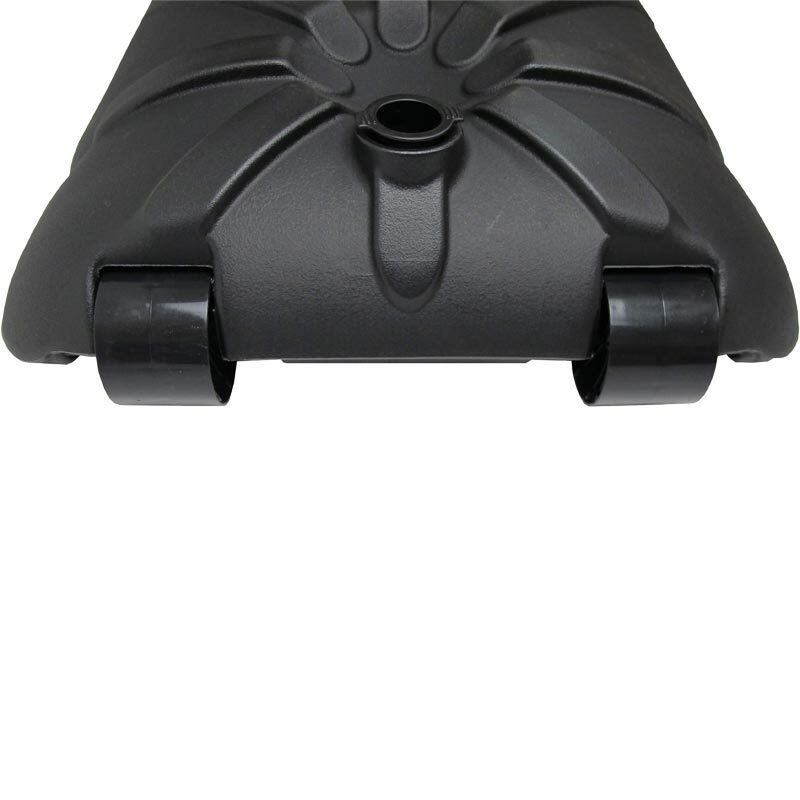 Two wheels fitted to rear of base for easy transportation. Provision for 4 ground anchor stakes (stakes not included). Please be advised over the winter period, if using water in the base of NET1 basketball or netball systems, anti-freeze must be added as per the instruction manual. If this is not done, the water will freeze, expand and often lead to the base cracking. Alternatively, bases can be filled with sand which is suitable all year round. Please check the height of the product is suitable for the area in which it is to be used.